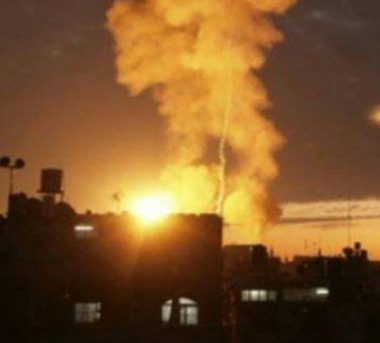 The Israeli Air Force fired, on Saturday at dawn, fired two missiles into a site east of Deir al-Balah, in central Gaza, causing damage to it and the surrounding buildings. Media sources said the missiles struck a site, believed to be run by the al-Qassam Brigades, the armed wing of Hamas, causing excessive damage. The missiles also caused damage to civilian structures in the vicinity of the bombarded site, but did not lead to any casualties. The Israeli army claimed it fired the missiles after a shell was fired from Gaza, and landed in an open area. On Friday, the army killed Karam Mohammad Fayyad, 26, during the Great Return March procession in the Gaza Strip, and injured at least eighteen others, including a child, a medic and a journalist.